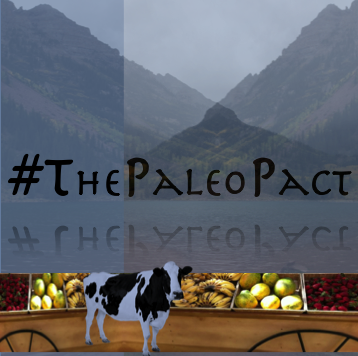 We get asked about alcohol a lot, so we thought it was time to share our thoughts on drinking alcohol on the Paleo Diet in a blog post. 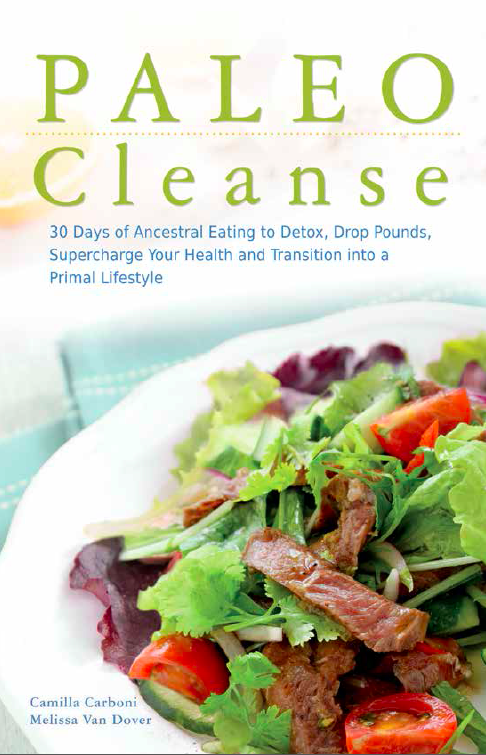 What it comes down to however, is making healthy choices. 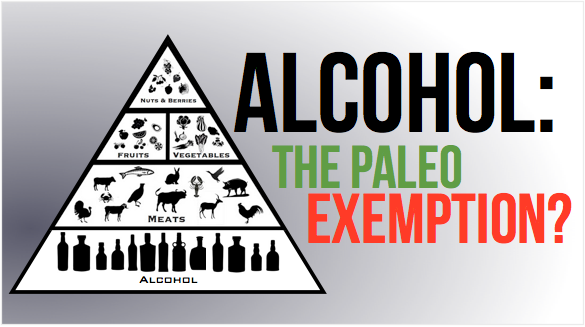 On a modern Paleo Diet the same principles apply to alcohol as they do to food. That means steering clear whenever possible of the Paleo-unfriendly food groups and items such as wheat, white potatoes and refined sugar. What does that mean in alcohol terms? It means avoiding wheat beers, liquors like vodka that are made out of white potato, and sugary cocktails or mixers that typically have large amounts of cane sugar. Try and limit your alcohol consumption to gluten-free beers, ciders with low sugar content and wine. You may also experience a lowered tolerance for alcohol since following the Paleo lifestyle, as you are no longer consuming large quantities of carbohydrates which help absorb alcohol. Just tell people you’re a bargain for a date! But in all seriousness, because of this you may find yourself feeling the effects of alcohol faster, so please be careful. You may also find that the natural sugar in most wines, for example, causes blood sugar spikes and, if enjoyed too late at night, may hinder your ability to sleep soundly. It’s a personal decision as to how you feel about incorporating alcohol into your Paleo Diet and an equally personal experience as to how your body copes with it. Our advice is to listen to your body and, if you do choose to indulge, try to limit your indulgences to the more Paleo-friendly alcohol choices. Loren Cordain’s One Tequila, Two Tequila, Three Tequila…Primal! If you’re a spice fan like me, it’s hard to resist a spicy dish and stuffed jalapeños are one of my all-time favorites to whip up as a snack, to nibble during a sports game, or to serve as an elegant appetizer. 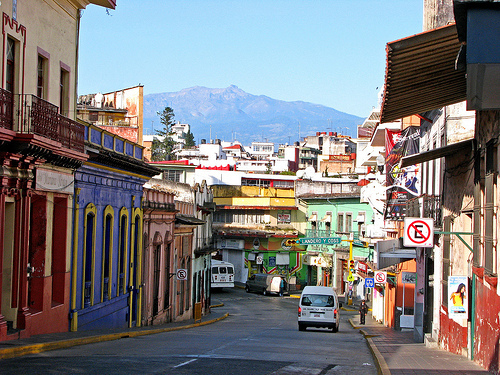 The jalapeño was named after the Mexican town of Xalapa (which is also spelt, Jalapa, and is pictured below). Jalapeños are rich in vitamins, minerals and antioxidants and are believed to cure colds and prevent allergy symptoms. That said, if you have a lower spice tolerance, green or red peppers make a great substitute in this incredibly simple dish. I leave it to you to go mild, medium or hot! Line a baking tray with foil or parchment paper and place the halved jalapeños on the tray with their open side facing up. Sprinkle Oregano or Italian seasoning on the jalapeños, and then add a Sun-dried tomato slice to the center of each one. Top with ground sausage, pressing it firmly into the jalapeño shell. Snack time has never been this tantalizing, and this simple! APRIL & MAY 2014 EVENTS! 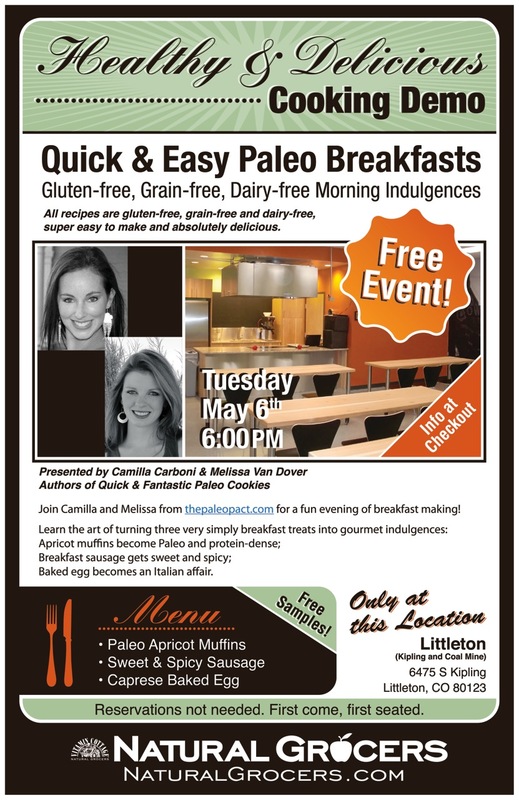 We are very excited to announce our April and May Cooking Demo topic: Paleo Breakfast! 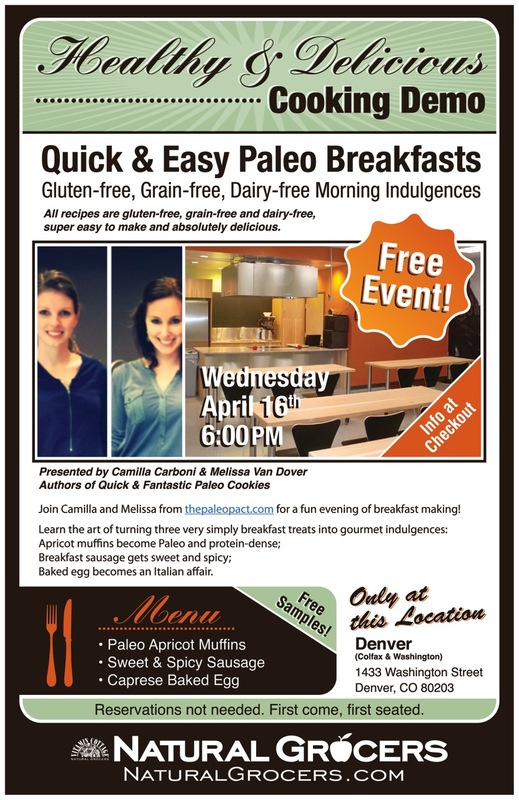 Wednesday, April 16th @ 6pm – The brand new Natural Grocers store, corner Colfax and Washington, Denver CO.
Tuesday, May 6th @ 6pm – Natural Grocers Littleton, corner Kipling and Coal Mine, Littleton CO.
We’ll be showing you how to make some of our Paleo-tastic breakfasts! As a note these breakfast do include eggs. We’ll be coming out with a demo shortly for Paleo breakfasts that are also egg-free. We all have those nights when cooking is quite literally the last thing we feel like doing. That’s when baked entrees are all the more appealing! This cumin-spiced baked chicken dish takes less than 5 minutes to prep and will cook while you relax. It’s a great dish for lazy evenings, or for when guests are over and you need to whip up a tasty meal without spending hours in the kitchen. What’s more, cumin provides an abundance of natural iron, magnesium and calcium. Sprinkle it on generously! 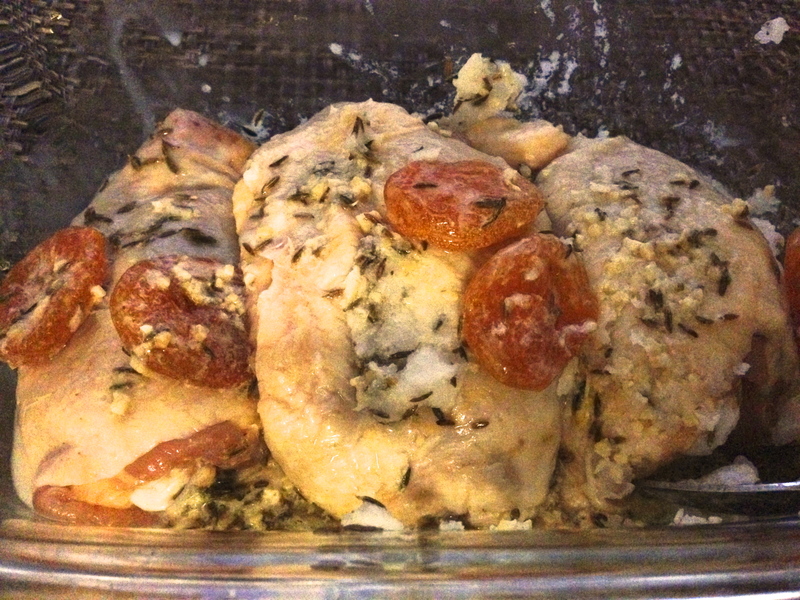 In a baking dish, place the coconut oil, garlic, apricots, coconut milk and cumin seeds and stir to make a paste. Add the raw chicken thighs and coat them in the paste. Place the chicken dish in the over for 45-50 minutes. Remove from the oven temporarily, flip the thighs and stir the liquid in the baking dish, drizzling it over the chicken before placing the dish back in the oven for about an hour, or until the flesh is well-done. Remove from the oven, plate immediately and serve hot with vegetables or a side salad. 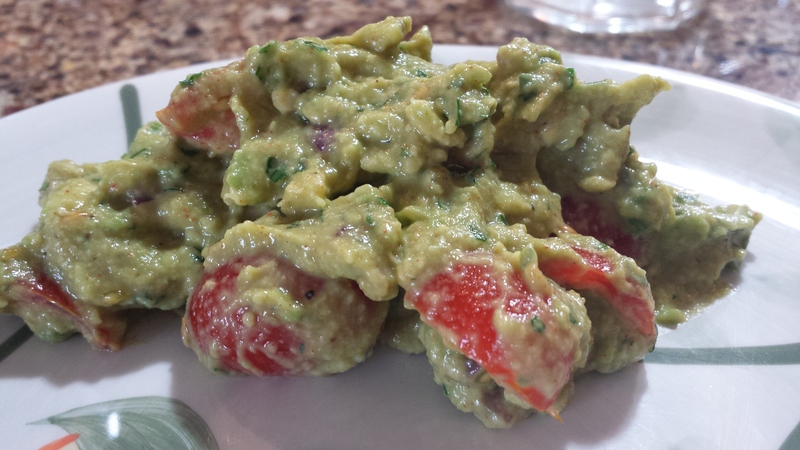 Guacamole is a fantastic Paleo snack and condiment. You can have it by itself or you can add it to any meal to spice things up. This is a quick and easy guacamole recipe. In a large bowl, add avocados, diced red onion, quartered cherry tomatoes and chopped cilantro. Slice limes in half and squeeze juice into bowl. The paprika, garlic powder, salt and black pepper can be added to taste. To give you an idea I use roughly 2 tbsp paprika, 1 tbsp garlic powder, 1.5 tsp salt and 1 tsp black pepper. Then mash everything together until you reach your desired consistency. You should taste your mixture at this point to see if you need any additional spices. You’re ready to go! If you like things spicy try adding a diced jalapeño. Here’s to making guacamole an expert would be proud of!